MONDAY. Hope all of you had a great weekend! I spent mine showing my sister (who’s visiting NY for the first time) around town and rediscovering the city with her has been a blast! Now, one of the perks of having my sister visting me is getting to borrow (steal) some of her stuff, like this good ol’ Louis Vuitton bag I snagged from her the other day. Any chance you would be up for shared custody sis? COAT Carin Wester. KNIT Gant. LEATHER PANTS Jbrand. 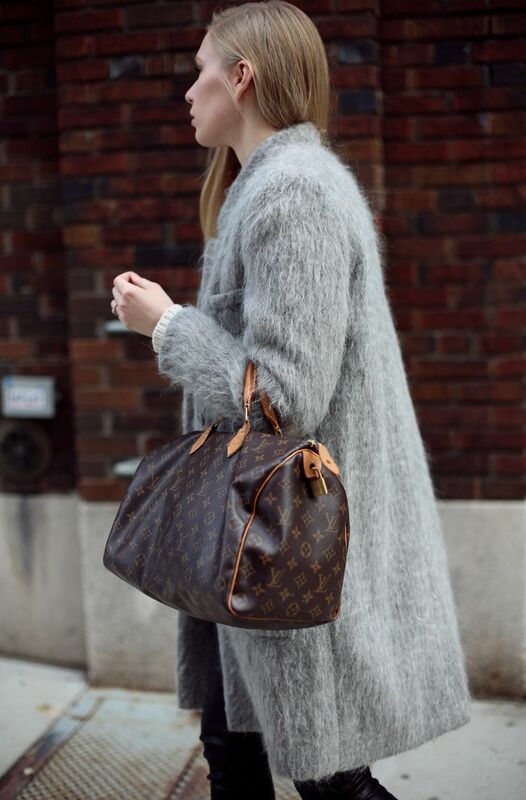 BAG Louis Vuitton Speedy. BOOTSEmerson Fry.